G5® Montec CS 100 Grain Broadhead. Sharp. Tough. Precise. Designed to hunt with carbon steel construction and Metal Injection Molding (MIM), a form of heat treatment that bonds particles and increases the G5's density and strength. Spin-tested to +/- 0.002" straightness for consistent groupings, too. 1-1/16" cutting dia. Also can be re-sharpened for long-lasting use! And on top of that you get a 3-Pk.! G5 Montec CS 100 Grain Broadhead is rated 4.6 out of 5 by 12. Rated 5 out of 5 by 1999familyman from Best Broadhead for Me I absolutely Love this Broadhead ever since I started using them back in 2009. 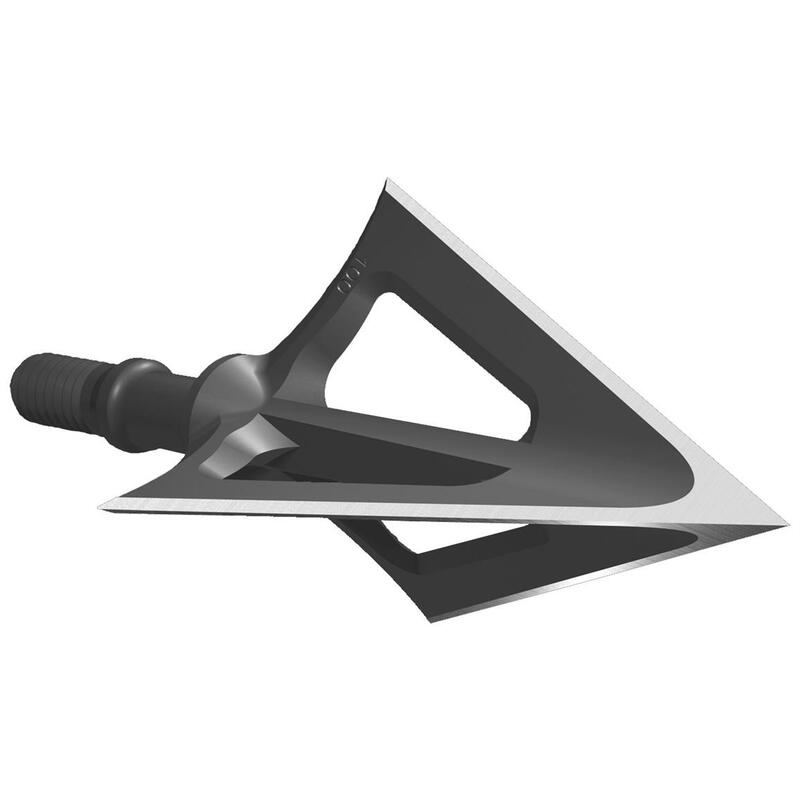 I went to this Broadhead because the others I was using I had to assemble the blades and when I went hunting or even sighting in my bow with them they would come apart in the animal I harvested or even in the target and I would end up loosing a blade or two, I even lost all three blades one day. Wehn I switched to this G5 Montec never again did I have to worry about loosing a blade and they stay sharp longer than the others as well. Awesome Broadheads they fly good and harvest some of the biggest animals out there.. Rated 5 out of 5 by palerider from on target Excellent flight from a 52# recurve. Very durable and seemed to be very balanced out of the box. As noted by others about tuning your arrows, especially when using broadheads you need to spin test first. Makes a huge difference. If it does not spin true, will not fly true. Rated 5 out of 5 by Kjames from Great broadhead I've used these for years and have taken many deer with them. Fly straight and group well. Plus you can resharpen them. Rated 4 out of 5 by MARK from A well made broadhead and can be re-sharpened also. Rated 5 out of 5 by MONTY from excellent shooter with a light arrow using a #50 recurve. the best flight of any I have tried thus far. A top choice for hunting!